Tell you what, once you find the sweetspot, these things are awesome. Out of the box I was really heely and that led to a lot more clankers than I would like to admit. As I'm also working on my swing at the same time, I wrote those off as I was only working on the swing on the range and not on the course. 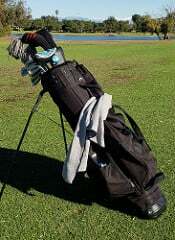 Had a really good range session this morning and was catching the sweet spot 90-95% of the time. The misses weren't nearly as bad as they were. Even though the lofts are a tad weaker than the previous set, I did gain a few yards apparently. 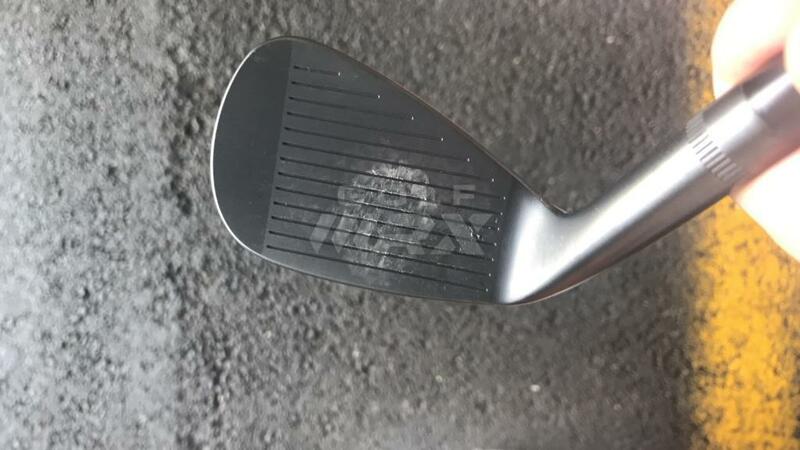 Now that could be a result of the combination of getting on the sweetspot and the new swing (mostly a plane fix). Sorry about that, I'll try and get a bigger pic. not sure what happened... something to do with the transfer from the phone, I suspect.. Were you hitting off mats or grass? How was the sole through the turf? semi Fluffy mats this AM, but playing last week they were fine. The soles have been tweaked in the new models to ease the path thru the turf... apparently. But I'm not a digger anyway, more of a skimmer (Like Nicklaus was.. or is) so it shouldn't be a problem. I saw photos of those irons. They really look great. Love the look of these... what shafts did you end up with? Thanks for the info. Very nice Ray. Those look sweet. I have the regular Ft. Worths and they are great. I really like the v-sole on them. Would like to see how the Blacks v-sole differ from the original Ft. Worth. Definitely Stu. To me, they are the natural evolution of a Hogan or even a Macgregor iron. Compact head, subtle perimeter weighting, and again, the v-sole, make them a more forgiving players iron. They play very similar to my Macgregor CB-92’s, except the v-sole makes them much more forgiving by minimizing fat shots. I had to go with the KBS Tour V-Stiff (steel). About a week after I ordered them, they were available with True Tempers, but I was happy with my choice.. because if I had even more choices, I would have never been able to decide which ones to get! As for being dangerous out there... It rarely translates to the course as most people know.. Only had 3 approaches using the PW yesterday. One was a bit low on the face, one was a little knock down and the other was a flush, on the spot to 125... Except it was behind a little **** in front of the green, so I couldn't see the "landing dance". But the ball mark was about 2-3 feet ahead so it maybe popped and pulled a little bit. This would probably be my shaft choice as well... Little on the light side but it's a great shaft. Thanks again for the info, going to keep an eye on these. Have fun with them!